Launched in January, the promotion Lightning Torch is completed officially. All BTC collected during its course (0.4108021 BTC) were donated to the Bitcoin for Venezuela humanitarian initiative. This wrote in Twitter charitable organization Bitcoin Venezuela. As part of a humanitarian initiative being implemented, Bitcoin Venezuela representatives distributed food to those in need during the recent massive power outages in this South American country. Another Bitcoin Venezuela project is being carried out in partnership with the Locha Mesh Network and offers the opportunity to personally create low-cost opensource devices that support decentralized and censorship-resistant networks. Using these networks, users can support secure communication, as well as send and receive bitcoin transactions without access to the Internet. Recall, the global action Lightning Torch was coordinated through the social network Twitter and was organized on the principle of the Olympic torch relay - to the initial payment of 100,000 sat (0.001 BTC) each new participant added 10,000 sat by challenging the next user. 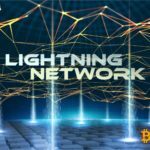 The goal of the experiment was to demonstrate the capabilities of the Lightning Network Second Level Protocol. 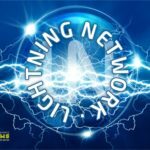 The campaign lasted 83 days, was attended by users from 56 countries, who together made 293 Lightning-payments. 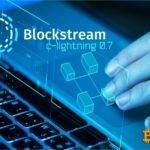 Among those who broadcast Lightning Torch were such well-known community representatives as Pierre Roshar, Nicolas Dorier (BTCPayServer), Bitrefill team, Anthony Pompliano, Andreas Antonopoulos, Twitter CEO Jack Dorsey, Elizabeth Stark, Samson Mou, Ricardo Spagni, Alena Vranova, WhalePanda, CEO of Binance Changpeng Zhao, Tron cofounder Justin Sun, Charlie Shrem, Adam Backand others. Unfortunately, the initiator of this unique experiment, a Hodlonaut user, has recently been forced to deactivate his Twitter account. 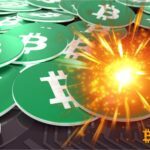 This happened after the self-proclaimed Bitcoin creator Craig Wright threatened him with a lawsuit for distributing "inaccurate and discrediting his name and dignity information", and some supporters of the Australian laid out in the public access personal information of the user. On Friday evening, the head of Lightning Labs, Elizabeth Stark, announced the launch of a crowdfunding fundraising campaign to help Hodlonaut in a possible legal battle with Craig Wright. All unspent funds, noted Elizabeth Stark, will also be listed in favor of Bitcoin Venezuela. © 2018 bit.news | queries 210, for 0.430 sec.